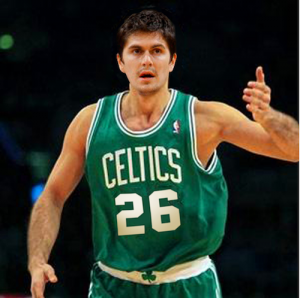 Not much going on today, except for the fact that Darko Milicic may be leaving the Celtics. He has played in only 1 game out of the Celtic’s 11, and is not happy with his bench role. Did he expect anything more? He says he wants to go back because of his ill mother, but even Doc Rivers said that it also has to do with his undefined role on the team. Does anyone actually care? This entry was posted in Celtics and tagged basketball, boston, boston sports blog, celtics, darko, doc, milicic, nba by christoph131. Bookmark the permalink.